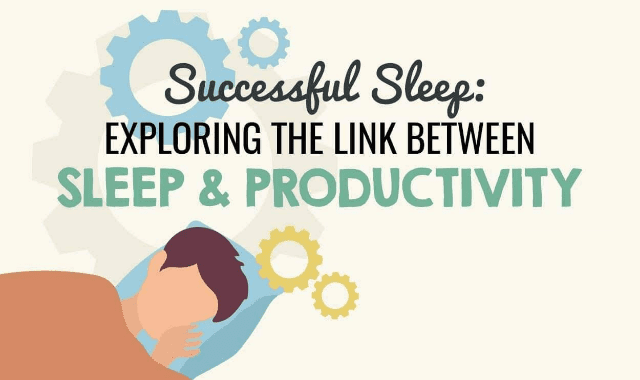 Successful Sleep: Exploring The Link Between Sleep And Productivity #Infographic ~ Visualistan '+g+"
Most of us strive to be productive in one way or another, but sometimes life gets in the way and we don’t end up doing as much as we’d hoped - or, even worse, we make some mistakes and have to start again! This is a natural part of our lives but there are some factors that we somewhat have control over which really do contribute to our productivity levels and sleep is one of them. It may not come as a surprise that sleep and productivity levels fall hand in hand and, in case you were wondering, here’s how the two interact.